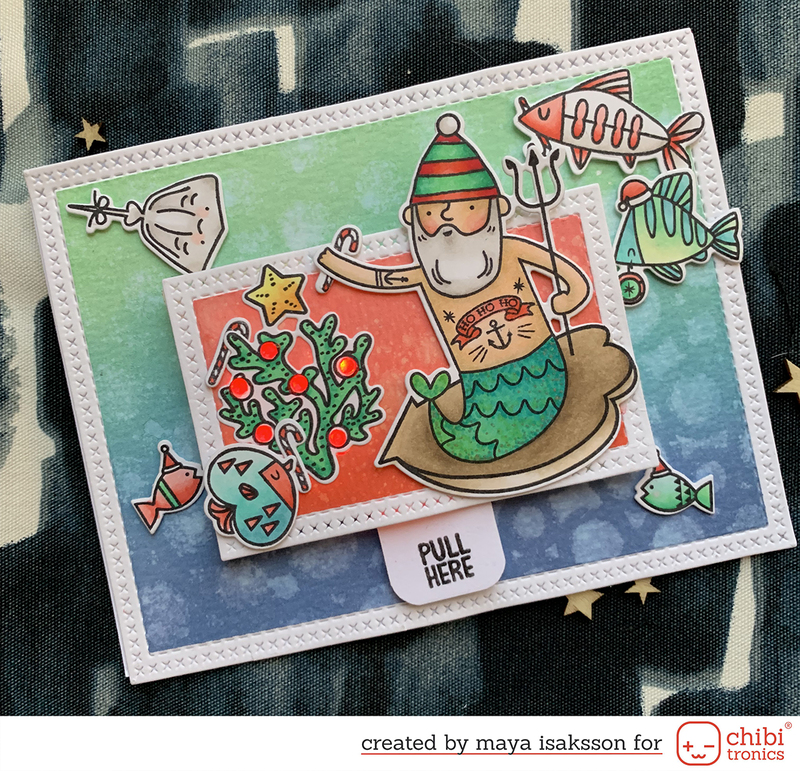 Time for a new challenge over at ABNH :) This time you can make anything but a card. Time to get creative! Since we are having collaborations with Finding Nana who sent me the most adorable decos AND Faber Castel Memory Craft who sent a lot of different art supplies in the way of pens, markers, pencils and crayons I wanted to make a LO. I got a bit artsy fartsy and started out with gesso, stamped one of my new Hero Arts stamp sets all over with inks and big brush pens. I cut out some stipes of papers with triangle cut outs with my Cameo and shaded them with soft water color pens. I added the decos from Finding Nana, very petty washi tape, some fun paper clips (not sure if that’s what they are called?) and some flair. Now it’s your turn! The price is donated by Simon Says Stamp, very generous as usual! Here are the supplies i used, thanks for visiting. Have fun!